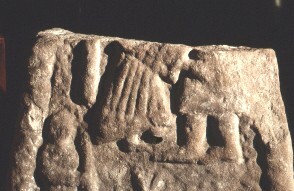 At the top of the panel there are the remains of two figures, which seem to be facing each other. Allen, J.R., , ‘The Early Christian Monuments of Cheshire and Lancashire’. In Journal Architectural Archaeological Historical Society County City Chester North Wales (1895) 5, 133-174.